The ASPCA’s Wag-n-Walk is a fun, safe and easy way to bring the Austin Community together to raise awareness for the ASPCA’s mission of fighting animal cruelty and finding permanent loving homes for America’s adoptable pets. 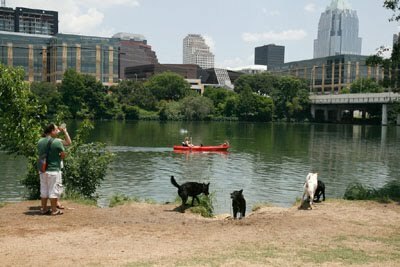 On April 18th, animal lovers and pet-parents throughout Austin, TX will head to Zilker Park (2100 Barton Springs Road) with their four-legged friends in tow (those without pets are welcome to walk too!) to show their love for animals and support for the ASPCA’s mission. The 1 mile dog walk will begin in the Rock Garden area of Zilker Park and end in the same vicinity, at the foot of the ASPCA’s ‘Go Orange for Animals’ Festival. All registered walkers will receive an ASPCA T-shirt and a bandana for their canine counterpart. I reаd. And on this ƿost "ASPCA Wag-n-Walk April 18". I wɑs eхcited enough too post a thօught :-) Ι do haѵe 2 qսestions for үyou if you tend not to mind.